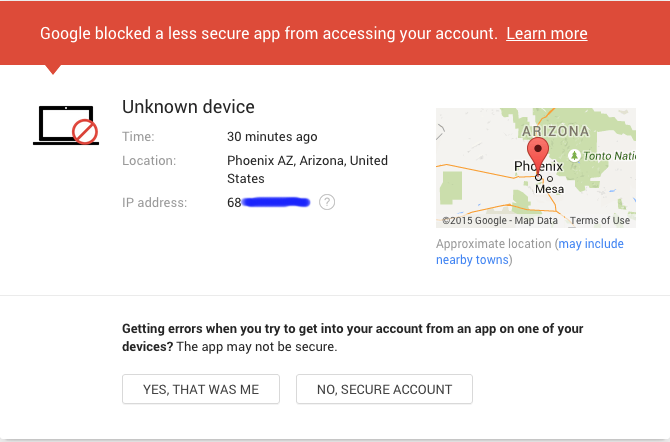 Great job Google, providing the victim with actual helpful information is what every company should do. I recently had my bank account locked down after a hacking attempt and after several phone calls, and going to the bank they still would not release the IP address or any other information like the password attempts. As you can see by the image below, Google even points out that they knew my correct password. If my bank would provide me with this information I could figure out if the hacking attempt was random or from someone who knows me. so what the solution do u think ? 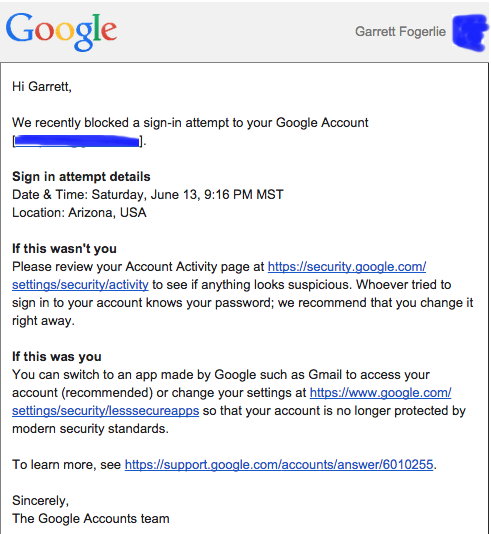 is there any other way to brute force gmail ?